Most people don’t naturally associate fashion with comfort. In fact, any mention of fashion usually brings to mind images of impossibly high heels, skin-tight silhouettes, and trends that border on the ridiculous. This fall’s fashions, however, seem to bring out the best in lazy attire. As temperatures, leaves, and grades drop (curse you, midterms), so too do hemlines. At the same time, silhouettes relax and fabrics transition from lightweight to cozily great. Luckily, casting off the “beauty is pain” mentality shouldn’t be too much of a stretch this year, thanks to this season’s preference for hassle-free garments. Here’s a quick look at the best sloppy-chic styles fall has to offer. Ah, the sweater: fuzzy, forgiving, and fantastically frumpy. This season, thank the knitwear gods, designers have taken a liking to the oversized. The baggier the better—chunky knits, like Phillip Lim’s drastic cocoon sweaters, are well suited for hours upon hours of soft, warm library lounging, and colossal cardigans like those from Michael Kors redefine the Sunday scrubs. This fall’s roomy sweaters are probably the most Snuggie-like clothing you’ll ever get away with wearing in public, so why not take advantage of this opportunity while you have it? By now, we’ve all been forced to accept the fact that July is long-gone, and with it the sunflecked bodies we loved, but there’s no reason to mourn when you can enter into pre-break hibernation in oh-so-comfortable style. Feel free to throw on that pullover you found in the back of your grandpa’s closet, or that cardigan you packed away because it was a bit too yeti-ish for last year’s styles. This fall, there’s no such thing as too oversized. The same loose-fitting shapes have captured outerwear trends as well. Inspired by roomy styles from the ’60s, coats like those from Rachel Comey combine over-the-top bulk with bold colors and daring prints (the cocoon silhouette strikes again! ), resulting in a balance that is both comfortable and sartorially smart. 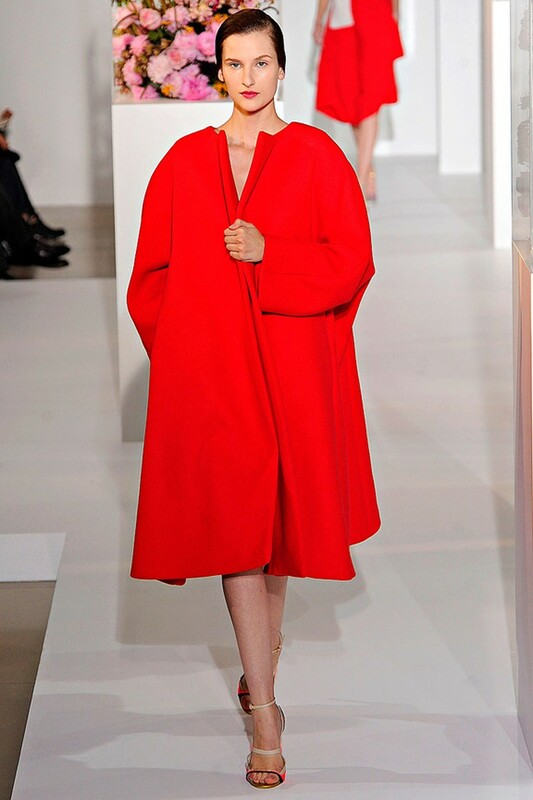 For a little more swing, look to Jil Sander’s open, couture-influenced jackets for inspiration: voluminous, vibrant, and generous of fabric. Don’t throw away your belted trench just yet, but have a bit of fun playing around with daring shapes that give you more than enough room to breathe. If that’s not enough material for you, top off your loungey looks with that most versatile of accessories—the scarf. Tie it, wrap it, circle it, drape it, do whatever you want—as fashion-forward as it is functional, the scarf is a cozy essential in every autumn wardrobe. You’ve probably been bent over books for the past eight weeks, so give your slump-tensed neck a little love (and a lot of knit). Plus, if you’re stressed about the impending doom of finals, a scarf provides the perfect object to hide behind or throw dramatically over your shoulder as you stomp out of the Reg. Now, keep in mind that there are plenty of other cozy separates with which to surround yourself these upcoming months. Girls, toss out your knee-length skirts and go for the maxi (preferably with elastic waistband). Guys, layer up with neutrals. Above all, regardless of what you choose to wear on the outside, ready yourself for winter with one all-important weapon: wool socks.